For our first big physical computing project, we were required to come up with a “stupid pet trick”, demonstrating what we’ve learned on the Arduino board and about building circuits so far. Anyway, Sneakers. Here’s the trailer. 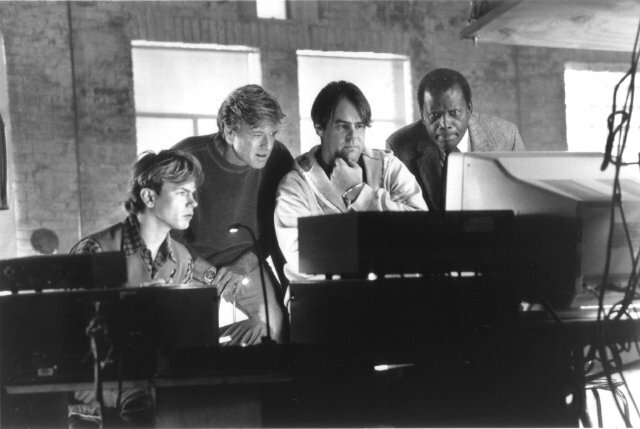 Keep in mind that this was a film made in 1992 about hacking (! ), that somehow attracted Dan Akroyd, Robert Redford, Sidney Poitier, Ben Kingsley, and, get this (there must have been a lot of coke involved), River freaking Phoenix. I don’t know how this film got greenlit but I thank Hollywood for it. So the film is about a bunch of hackers who stumble upon the existence of a chip that can decode any encrypted data, including on infrastructure networks and for governments. Naturally the NSA is interested. So Redford and his crew have to go find it. A lot of cool stuff happens. I loved the scene when the crew is trying to figure out a scrambled message by using Scrabble tiles. I wanted a puzzle theme for my project. 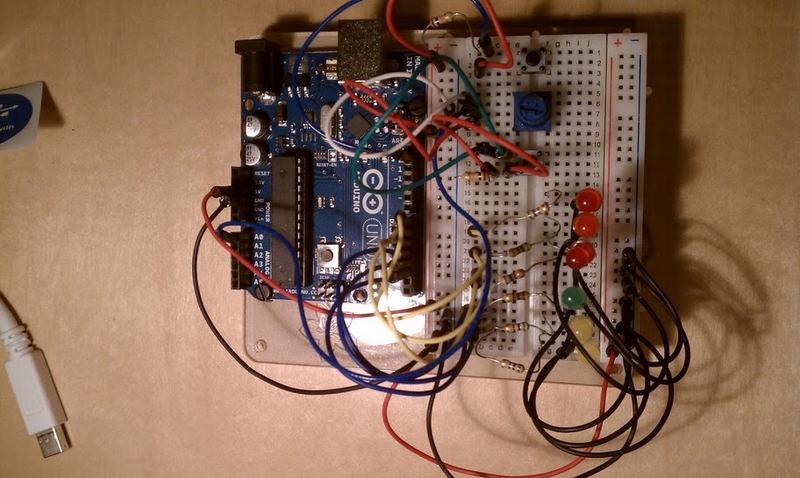 I love the look of the Arduino and breadboard and how it’s a puzzle waiting for you to figure it out. So, for my limited knowledge in building things, I wanted to concentrate on the Arduino as a puzzle with a rudimentary interface, similar to a bomb to be defused or some Cloak and Dagger (remember that film? 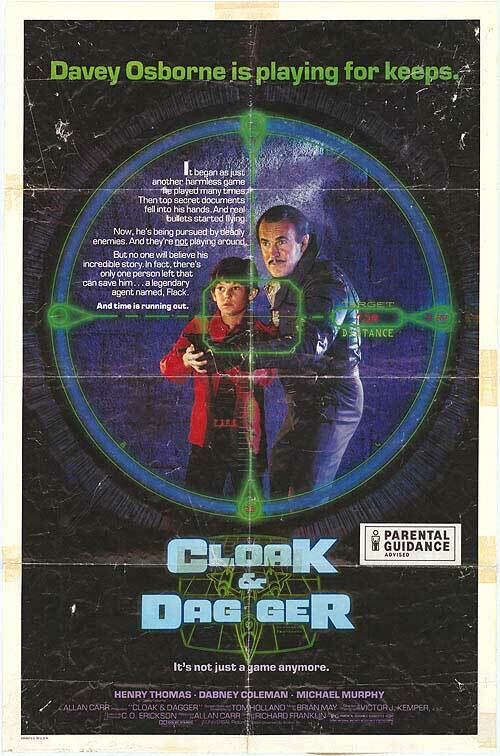 with Dabney Coleman?/Sneakers -like device. My device has no directions and uses potentiometers and switches for its inputs. The feedback is through simple lights. Much is intuitive, but it’ll require some morse skills to finish the puzzle. // Requires watching the Serial Monitor. // gave up on the morse -.-. because of array/char problems. Used #s instead. int test2Answer = 2; // 2 is answer: (2) lights: "Martin? ", (1) light: "Cosmo?" // test2: Read morse, understand context. // test3: Respond in morse. 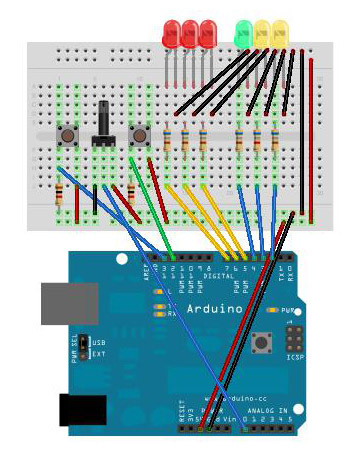 Is the breadboard wired correctly? For the rest of how the puzzle works, go below the jump: SPOILERS. The first puzzle flashes you a 3-light pattern. You just have to duplicate the pattern by figuring out how the knob works with the lights. The second puzzle prompts you with a question in the Serial Monitor, and then it flashes some morse at you. How do you respond? The third puzzle gives you an input error. Is it wired correctly? Prove it. Then figure out the clue to enter in your morse message. After this, you’ve solved the puzzle, indicated by the green LED turning on!